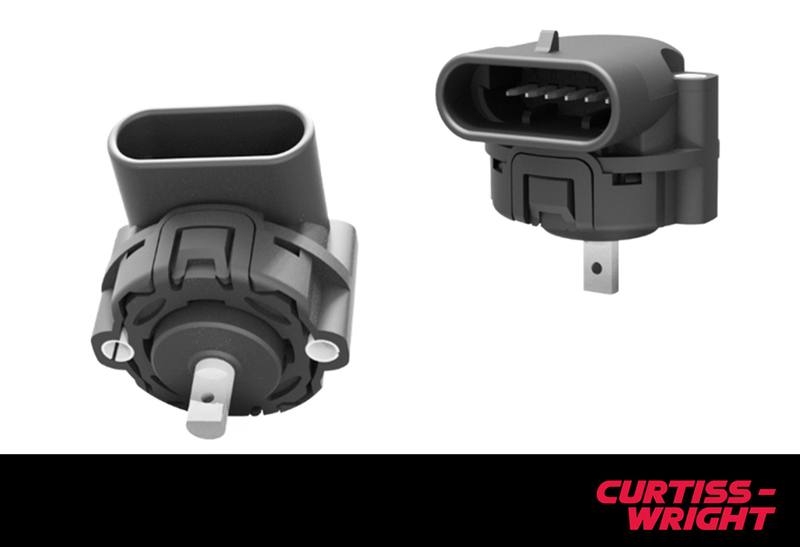 Curtiss-Wright’s Industrial division has today announced the launch of the WM-H10, a shaft-operated rotary position sensor featuring a solid-state, Hall-effect sensor that offers two independent and electrically-isolated outputs. Contained in a compact housing with integrated connector, the new sensor’s robust, mechanical design offers exceptional levels of performance and is ideal for use in hostile, on- and off-highway vehicle environments. The full range electrical output of the WM-H10 rotary position sensor can be set to correspond to maximum rotations from 15° to 360. This provides a dual linear output voltage proportional to the absolute position of the 6mm, D-profiled shaft in either direction from a reference angle. To avoid errors associated with air-gap fluctuations, an integral magnet arrangement ensures a consistent sensor-magnet separation. The two independent measuring circuits, each with its own +5Vdc power supply connection, enable the use of algorithms that compare the signals for error checking. By using the first output signal as the source of rotational motion detection, and the second signal for diagnostic purposes, comparing the positional data from both outputs, signal veracity can be determined, meaning high-performing, safety-critical applications can easily be addressed. Further integrity is also provided as the outputs enter pre-defined states in the event of connection errors to the sensor.